Avast was crowned as the king of Antiviruses for Windows PC and it decided to keep this crown with Android OS too. As we all know that Android is a Open-Source OS which makes it equally vulnerable too. On an average, there are about 2,336 viruses/malware developed for Android on an everyday basis. Due to this serious problem Avast launched an antivirus app for Android too, which will keep almost every known virus away from your Android smartphone. Installation of this antivirus takes only a few minutes. You can easily install this from Play Store. I don't prefer to go for any other source to download the antivirus because many hackers can bind viruses with the .apk files but you don't have to worry if you are downloading it from the Play Store. After installation you will get a prompt to give your Email ID with a password for signing up to Avast Account. You will get a verification email in your mail account. Just open the mail and click on the account which will verify your account and you are ready to use Avast Antivirus. There is a premium subscription too which will give you some extra features which will help you in case your phone is stolen or misplaced. If you go for premium subscription then you can set a geographic perimeter, which is known as 'Geofencing' and that will perform some major tasks such as locking your phone or erasing the data when it is out of the area specified thus keeping your data safe. If you don't go for Geofencing then you have another option if your phone is stolen. You can lock down your smartphone and take a picture of the person using it by just logging into your Avast Account that you created while using the App. You can go for a one-year subscription for $14.99 or go for a monthly subscription for $1.99. Problem with most of the android smartphones is their battery consumption. Most smartphones use up a lot of power due to background apps but users can't limit or uninstall these apps because they are a necessity. There is an easy solution for this problem; DU Battery saver. This almost increases battery life of your Android smartphone by 50%. This app limits the priority of apps without interrupting them in their processing or service. 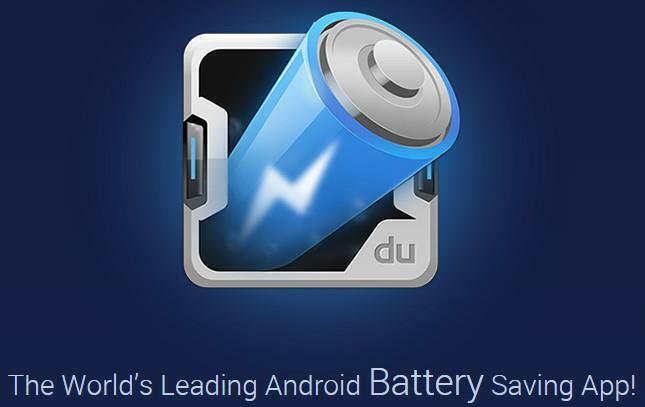 You can read a comprehensive review on DU Battery Saver here. Google launched a variant of Chrome Browser for their Android operating system that gives the feel of using Internet on your PC. It gives a fast browsing experience and never crashes due to its awesome stability. But the only problem about this browser is that it doesn't have a good download manager. Chrome uses the stock download manager which doesn't give much speed. An alternate for overcoming this issue would be to go for UC Browser which is famous for its download manager. It comes with a feature called Speed Mode in download manager which almost increases downloading speed by 40%. It also has a vast range of extensions available which will enhance your experience of exploring the Internet, which is not available in Google Chrome. There are many Android smartphones and tablets that are used for entertainment purpose too but unfortunately Android's stock video player doesn't support many extensions. But there is another solution for this problem which is MX Player. This video player is used by almost every user of Android because it has the capability to run every audio and video file available till now. It also comes with frequent updates which protect your device from being vulnerable and brings updates with latest features and tweaks for speed/reliability. You can easily download MX Player from Play Store. The free app shows ads (not while you are watching videos), you can also go for a premium version for a few dollars that removes all the ads from the app. You don't want to waste most of your time searching for a file that is placed in your internal memory or external SD card. There are many file manager apps for Android but they don't meet user requirements. ES Explorer comes with a tab where all of the particular file are managed like all installation files in APK tab and same for video, music and images. You can just browse the file which you want by tapping on the applicable tab. It also comes with an inbuilt text editor with which you can easily edit all of your editable files in notepad. You can easily get this on Play Store by writing ES File Explorer in the search tab and directly install it. I would wish to add a few more apps to the list. Scan is one of the good apps which helps you scan bar codes and QR codes to get the information on the go. Newshunt is an application that helps you get important news headlines from almost all Indian newspapers and magazines. It has a great collection of newspapers from almost all Indian languages. HERE maps from Nokia will be an extra advantage for navigation needs. It is a completely offline map app - once you download the maps for the region of your preference, you do not need to have internet connectivity for using the app.